Hugo Boss mens navy boxer shorts. 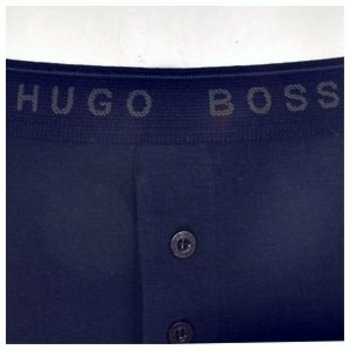 Embroidered Hugo Boss logo on navy elasticated waistband. 2 Button front. 100% cotton. For hygiene purposes this item is non-returnable.